Grant that I was awarded by the North Carolina Space Grant Consortium. The objective of this lesson was to see if high school and middle school students could gain a better understanding of scientific concepts, in particular metallurgy, through psychomotor activities in which they actively participate in changing the metal in an art classroom. 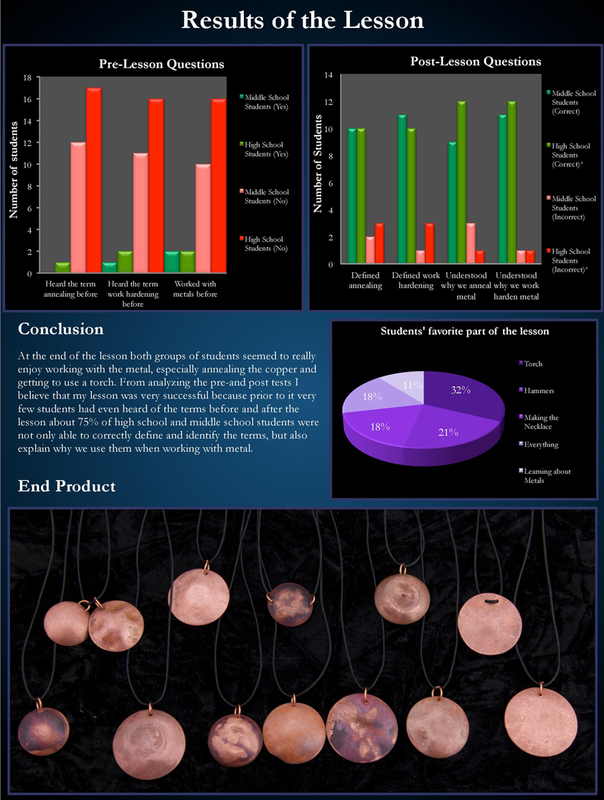 In the project, students learned about the crystalline lattice structure of metals, specifically copper, and then were able to actively cause changes to the copper’s internal crystalline lattice structure through the processes of annealing and work hardening to create a wearable piece of copper jewelry. To analyze the effectiveness of the project a pretest and a post-test were used to asses the students understanding of the concepts. Overall, the lesson was quite effective; before it few middle school or high school students had even heard of the terms annealing or work hardening before, but after the completion of the lesson almost 75% of students in both classes could not only define what annealing and work hardening was, but also explain the reasons why we would anneal and work harden metal. Click Images for a close up. 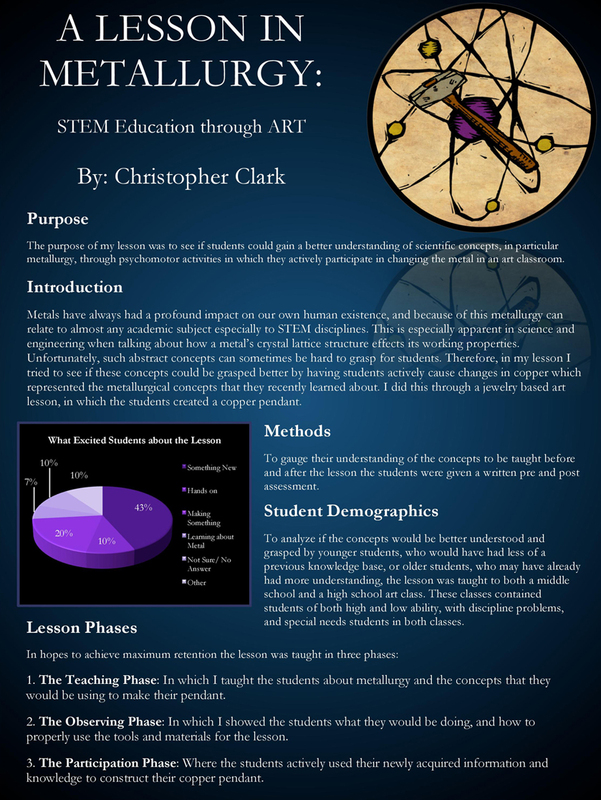 For the lesson plan, power point, complete research analysis, and other additional information regarding this lesson please click the button below. When prompted the password is 3860.